The future of creative careers will transform the creative industry as we know it. From the content we consume to the marketing that surrounds us, our world is made interesting by creative people and teams with ideas and the ability to execute. For too long, creative careers have been held captive by antiquated systems for getting found and operating as your own business. Alas, times have changed! New technology and online platforms will empower millions of creatives around the world to connect directly with brands, clients, and collaborators. Key forces like attribution, transparency, and data-driven tools will foster meritocracy for creative people across industries. With great opportunity comes great responsibility. Scott Belsky will share insights on the future of creative careers and steps we can take to empower creative people to make ideas happen. 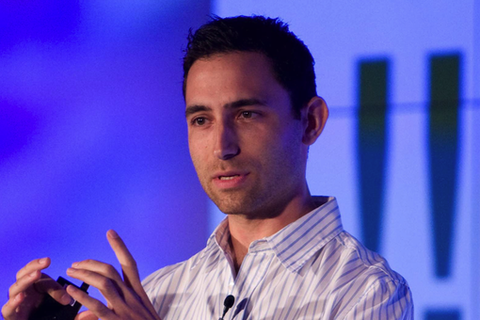 Scott Belsky has committed his professional life to help organize creative people, teams, and networks. Scott is Adobe's Vice President of Community and Head of Behance, the leading online platform to showcase and discover creative work. Scott co-founded Behance in 2006, and served as CEO until Adobe acquired Behance in 2012. Millions of people use Behance to display and find talent every month. Behance also powers portfolio display for LinkedIn, AIGA, AdWeek, School of Visual Arts (SVA), Rhode Island School of Design (RISD), and many other sites and curated galleries around the web —as well as 10,000+ personal websites via Behance's ProSite service. Behance also runs 99U, a think tank and annual conference for creative leaders focused on the execution of ideas. In 2010, Scott was also included in Fast Company's list of "100 Most Creative People in Business." Scott is the author of the international bestselling book Making Ideas Happen (Portfolio, Penguin Books). He also serves and an advisor and investor in several early-stage companies including Pinterest, Uber, and FiftyThree. He attended Cornell University as an undergraduate and received his MBA from Harvard Business School.